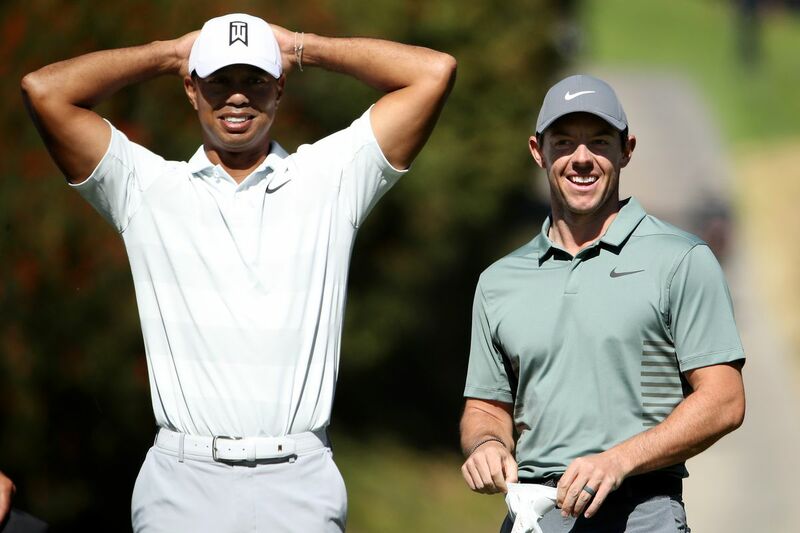 Rory McIlroy finds himself for a tenth time in his career playing alongside Tiger Woods and also for a second year running at the Genesis Open. The last occasion the Nike-sponsored duo were each other’s company inside the ropes was last August at the season-ending Tour Championship where McIlroy was a Sunday spectator in posting a disappointing final Atlanta round of 74 to finish in a share of seventh and six shots behind as Woods brilliantly and emotionally ended a more than five-year winless drought. In last year’s Genesis Open opening two rounds McIlroy posted scores of 71 and 69 while Woods, and still finding his feet in returning to full-time competition scores of 72 and 76. “I said I don’t mind giving up two shots to the field (laughing). That’s fine. “No, seriously he texted me saying: ‘How do you feel about giving up two shots playing with me next week for the first two rounds. “Yes, it will be good fun. Actually, I haven’t played with him since the last day of the Tour Championship. I know I didn’t feature much in that last round as I was in the trees for the most of the round (smiling)”. Though playing alongside Woods in suburban Atlanta last year and finish six shots adrift of Woods is not something McIlroy will fondly look back on. “I am a competitor I am into what I am doing and I was frustrated I didn’t play better that last round in Atlanta. McIlroy was then asked what is good about playing alongside Woods? “It does put you into a state like a level of focus maybe you don’t get into but I don’t think it is necessary to do with Tiger but moreso everything that goes on around the group,” said McIlroy. “The extra people, the clicking of the cameras and you can sort of feel there is a different atmosphere about it.